Photo courtesy The Rooms Provincial Archives. 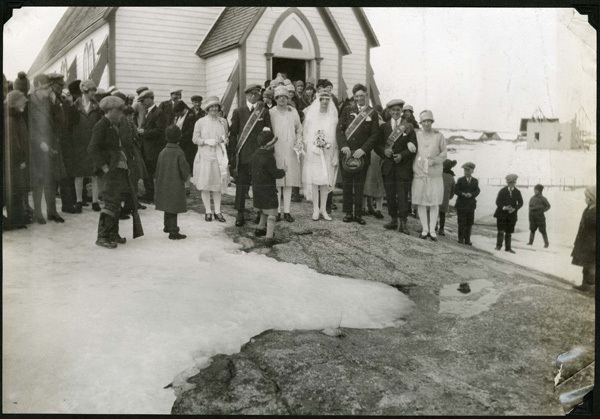 In honour of Valentine's Day, this week's #FolklorePhoto is of a wedding that took place in Labrador in the 1920s. Note the boy on the left holding a shotgun. It was customary in parts of Newfoundland for someone to fire a gun on the day of a wedding.